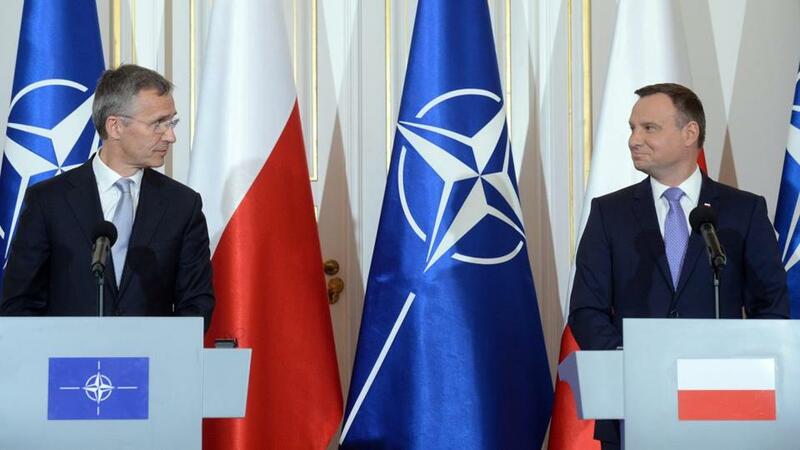 Polish President Andrzej Duda (R) and NATO Secretary General Jens Stoltenberg (L) spoke with reporters on July 7. Leaders of NATO countries will open a summit in Warsaw on Friday which is expected to authorize a force of 4,000 soldiers in the Baltics and Poland — an attempt to prevent Russia from repeating its Ukraine policy of instigating an insurgency somewhere in the alliance’s eastern flank. Russia has already vowed to respond by deploying three divisions to its border on a permanent basis. Moscow may be planning to announce additional measures after the NATO summit. No matter how many more rounds of this action-counteraction spiral play out, however, neither side’s security could be reliably guaranteed until both sides address the underlying drivers of their current standoff. What would help to prevent another armed conflict in Europe is a new continental security arrangement that would both restrict the expansion of military alliances, which is Russia’s supreme concern with the current state of European collective insecurity, and commit its participants to refraining from either overt or covert attempts to change borders on the continent, which is what much of Europe has come to fear in the wake of the conflict in Ukraine. The arrangement could take the form of a new European security charter that all 57 member nations of the Organization for Security and Cooperation in Europe would be invited to sign. The new charter would address Russia’s concern by requiring any further expansion of the continent’s military alliances to get the consent of three-fourths of the signatories. A review of the OSCE members list would reveal that around a quarter of these countries are likely to oppose NATO expansion into the former Soviet space, while about a third would oppose expansion of the Moscow-led Collective Security Treaty Organization. Thus, neither alliance would be able to bring any more post-Soviet republics into its fold. The charter would also reaffirm OSCE members’ pledges to respect each other’s territorial integrity and refrain from any kind of overt or covert action to change borders in Europe again and commit them to resolve their existing territorial disputes in peaceful ways. Such a pledge on Russia’s behalf could help to alleviate concerns over not only Baltic states, but also Ukraine, Georgia, and Moldova. None of these three states stands a real chance to join NATO in the near future, yet all three would benefit from a new security arrangement, which commits Russia to refraining from waging hybrid warfare against them and which figures US and other Western powers among its signatories. The charter would feature specific, enforceable mechanisms for managing conflicts, including warning systems to identify and defuse tensions in their early stages. More importantly, the document would entail responsibility for violators — crucial in alleviating concerns about Russia’s future behavior. Specifically, any dispute would be referred to an arbitration panel consisting of the signatories’ representatives; to come into effect, the panel’s rulings would need the support of three-fourths of its members. Countries refusing to comply with the rulings would see their membership suspended. If, for instance, Russia were to refuse to comply with a ruling and its membership were suspended, that would cost Russia its ability to vote against NATO expansion. Because of Vladimir Putin, global terrorism, and geopolitical uncertainty, NATO remains not only relevant but essential. Ideally, the charter could also revive and expand some of the arms-control mechanisms, helping to assuage the mutual concerns about current and planned deployments of military forces and to reduce dangerous military flybys that increase risk of unintended military confrontations. While leaders of all OSCE countries would be invited to sign the charter, it would not have to be ratified by its signatories’ parliaments — a condition that proved effective in securing the adoption of such key multilateral security documents as the Helsinki Accords of 1975 and the NATO-Russia Founding Act of 1997. 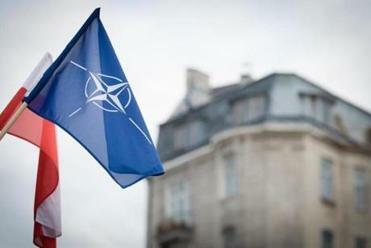 The latter committed NATO to refraining from deploying nuclear weapons in new member states, and NATO kept its promise even though the act was not binding, in the Western leaders’ view. Likewise, the new OSCE charter can contain important pledges, but would not require ratification to be effective. In addition to enhancing overall security in Europe, the charter could help to break the stalemate in resolution of the conflict in Eastern Ukraine. The primary reason why the signatories to the Minsk-2 agreement have locked horns in irreconcilable negotiating positions is that Ukraine, Russia, and the West are not certain that their minimal requirements for resolution of this conflict will be met. After all, their requirements differ dramatically. On the one hand, Ukraine wants international guarantees that Moscow will discontinue its support for separatism in the eastern part of the country and refrain from comparable campaigns anywhere else in Ukraine. Russia wants guarantees that Ukraine will be a permanently neutral state. Meanwhile, the West wants to prevent Russia from using either overt or covert military force to change any other European borders. The proposed charter would address these underlying tensions at their root. If there is currently consensus on any issue in Moscow, Brussels, Washington, and Kiev, it is that post-Cold War Europe’s security architecture is broken and needs to be repaired before it produces another deadly armed conflict like that in former Yugoslavia, Russia, Georgia, and Ukraine. The proposed charter could be a good way to start repairing or even rebuilding that architecture before it is too late. Simon Saradzhyan is the founding director of the Russia Matters Project at Harvard Kennedy School’s Belfer Center for Science and International Affairs.